Sometimes, especially as a designer, you create things that didn't make it to the final product. And sometimes, you try things out, express your ideas, or someone asked you for a small favor. Here, I want to share some of these lost and recovered pieces. A little weekend exercise on how a simple sign-up form could look like. 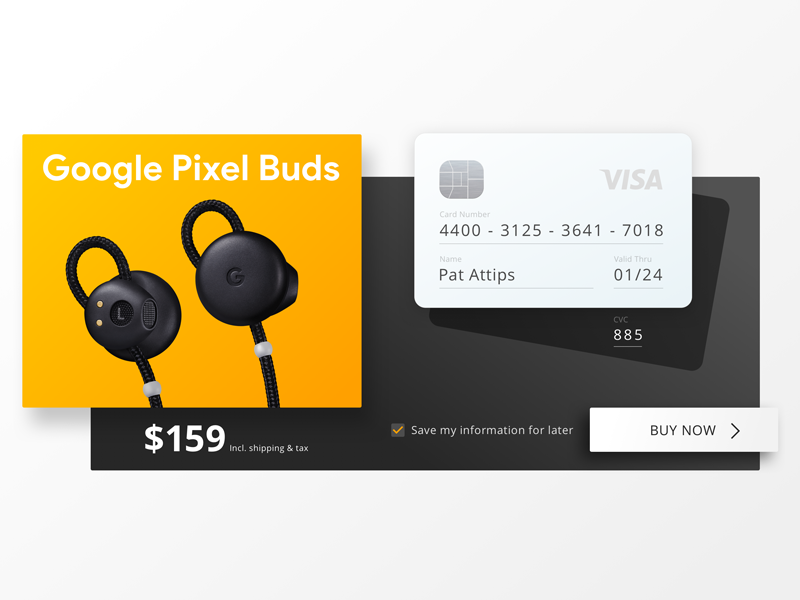 Playing around with a single product checkout (product shot by Google). Promoting our bachelor thesis "I Love Monday". brand eins is a German magazine about various economy topics. One column in the magazine compares different numbers and their interesting correlations. For a competition, Marc Groth and I created motion graphics to visualize these numbers.